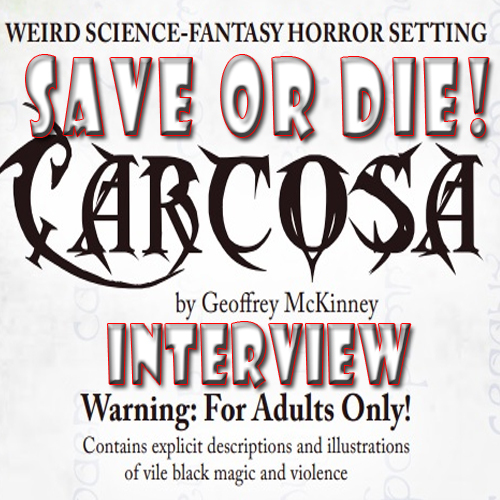 Our intrepid interviewer DM Glen sits down with author Geoffrey McKinney and talks about his experiences with Classic Dungeons and Dragons; which inspired the first Carcosa Weird Fantasy setting. His work on the reissued edition of Carcosa is reviewed in detail, along with a new supplement Island of the Unknown. The game system Lamentations of the Flame Princess’ Weird Fantasy RPG is discussed as well as how Carcosa fits into the theme of the game. Though both books are written for the LOTFP WFRPG they are easily imported into any Classic version of Dungeons and Dragons. …and check out our forum at osrgaming.org!